18-year-old Tatiana Kumar has been crowned Miss Malaysia World of 2016 last Saturday, succeeding after Miss Malaysia World 2015, Brynn Zalina Lovett. Born from a French mother and a Malaysian father, the beauty queen was among the youngest within the 19 participating contestants. 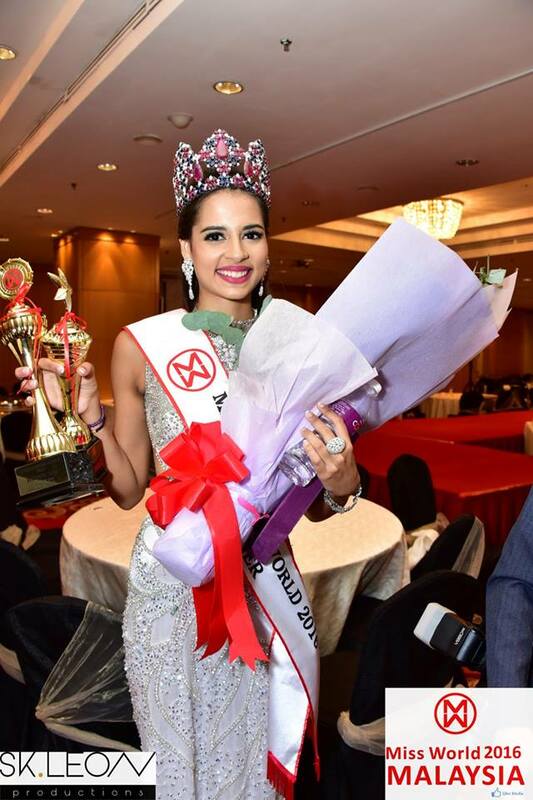 She will be representing Malaysia at Miss World 2016 in the United States this December. 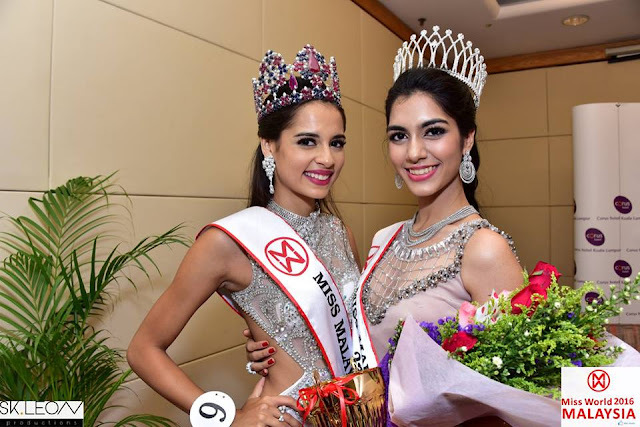 Meanwhile, the first runner-up went to 24-year-old Dr Ranmeet Jassal, older sister of current titleholder of Miss Universe Malaysia 2016, Kiran Jassal, and the second runner-up went to 19-year-old Shweta Sekhon. 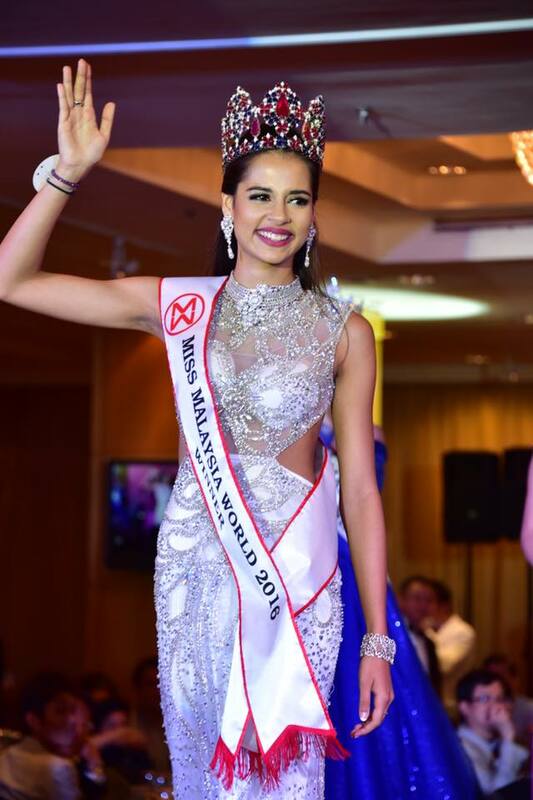 Until now, Malaysia is yet to win the Miss World title. The closest that it has to winning the title was back in 1998 when Lina Teoh was placed third in the pageant. 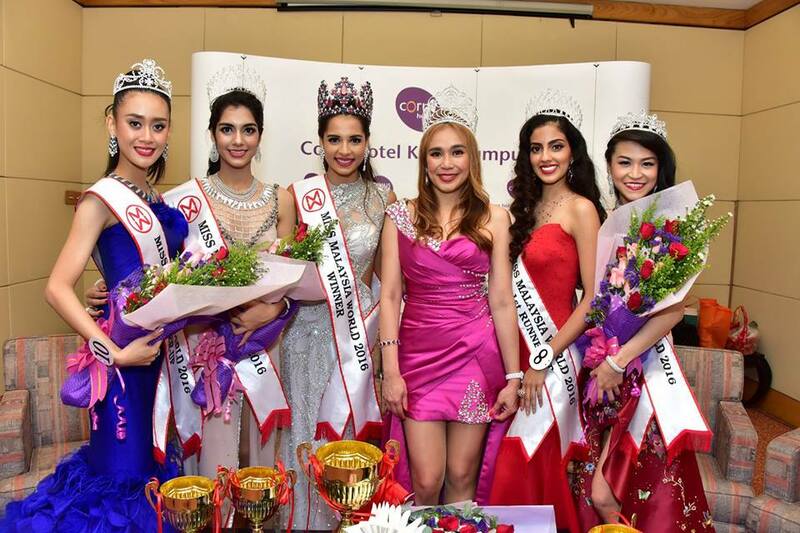 The finale of Miss Malaysia Word pageant was held at Corus Hotel Kuala Lumpur on 27 August 2016.